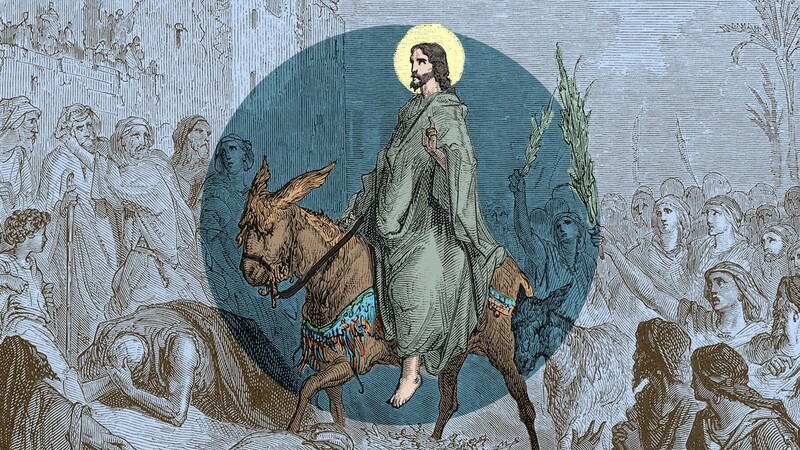 Then they brought (the young donkey) to Jesus; and after throwing their cloaks on the colt, they set Jesus on it. And yet as the risen Jesus will later point out to the heart-broken disciples on the road to Emmaus, there is a bigger picture than the disciples’ are not capable of seeing at the moment. What is transpiring here is revealing the ultimate truth, which is that the love of God is more powerful than the power of the high priests and the Romans and their threat of death. The lost will be found. God’s love will overcome.